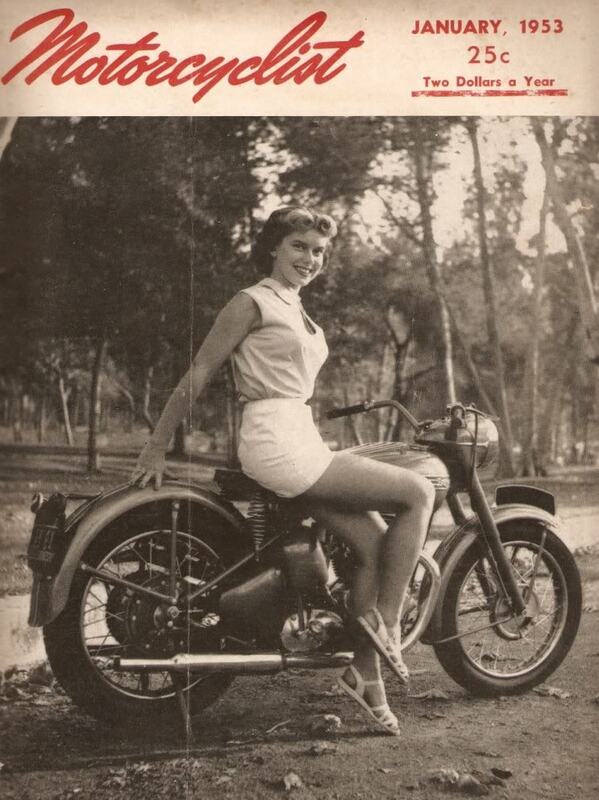 Further to the previous post, here’s the original Tiger, the early fifties T110; 650cc, single carb pre-unit engine. Plenty of power: hence the name. The nacelle headlight is a clean feature of this model as is the banded tank badge. Here’s something a little different: a converted Hinckley model Tiger with a triple cylinder diesel engine. Apparently it has a fair bit of oomph as well as good mileage. It uses a 3 cylinder Lombardini engine coupled to an Ultima gearbox. 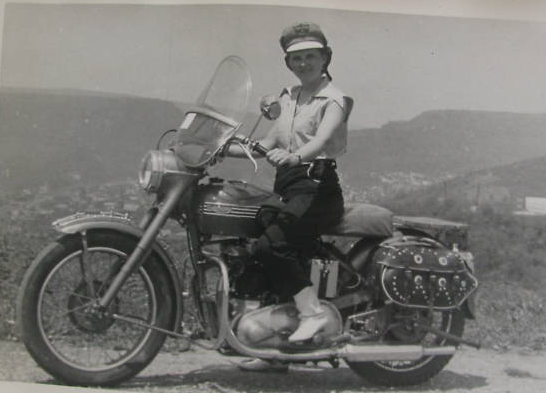 This is a link to Heiko Flecks diesel blog featuring a speed triple converted to the heavy fuel… sublime stuff. 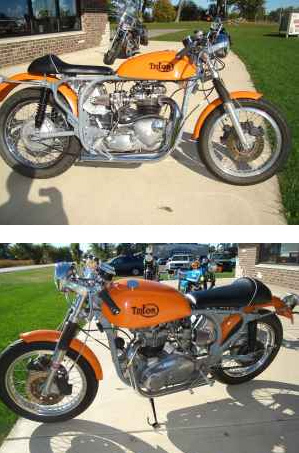 Ed Zender of Morries Place (where my Triumph engine was rebuilt) today advertised a Triton on Craigslist. 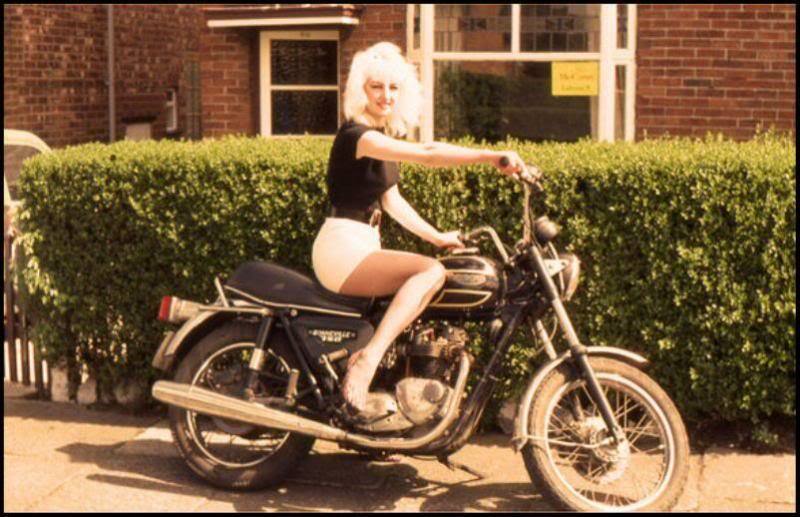 Motorcycle has a 1975 Triumph 5-speed 750 motor, converted to right hand shift, in a 1960’s Norton Slimline Featherbed frame. Ceramic coated pistons, intake ported to 34mm, 510-15 Megacycle cams, Mark II Amal carbs, 7-plate Norvil clutch, Triumph disc forks with billet alloy trees, Grameca calipers. Orange colour…. 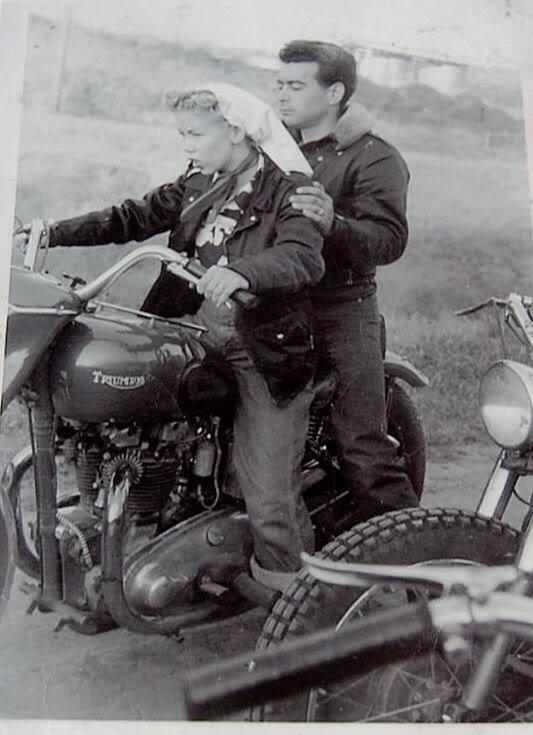 a racing style….cor blimey! 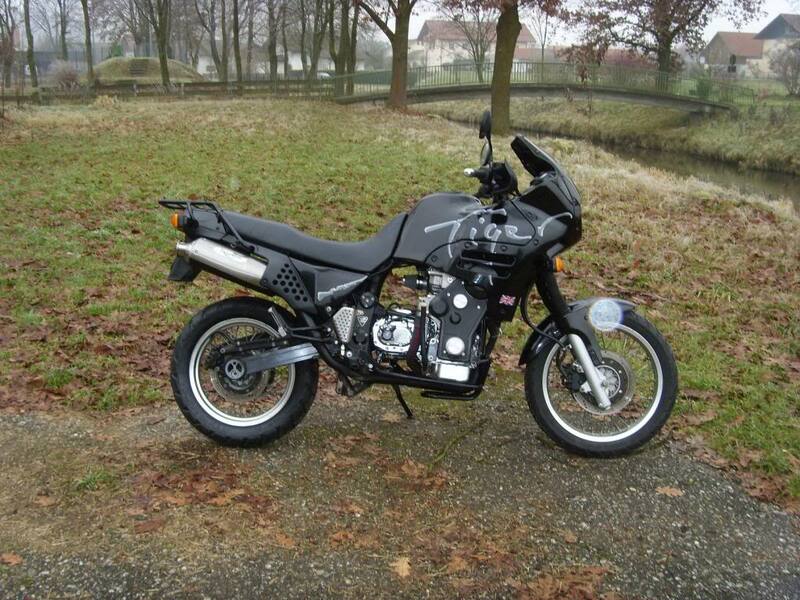 … now if I can just find 8 grand! 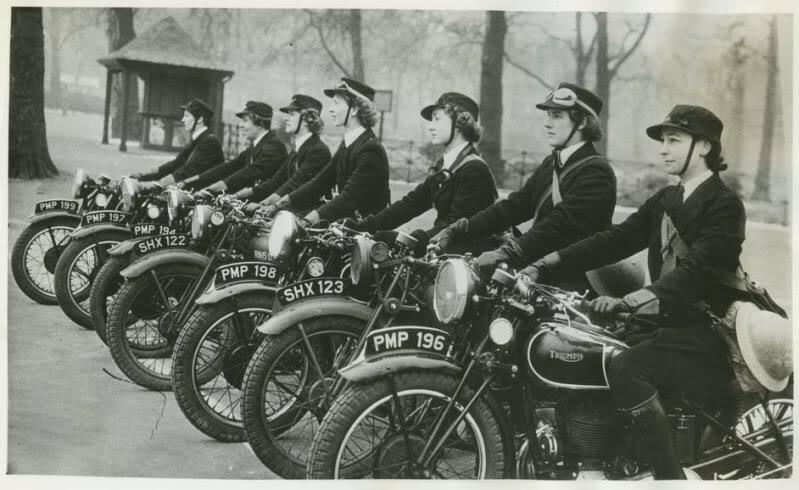 WRENS: Womens Royal Naval Service. A Desert Rose heading onto the dusty roads of the west. 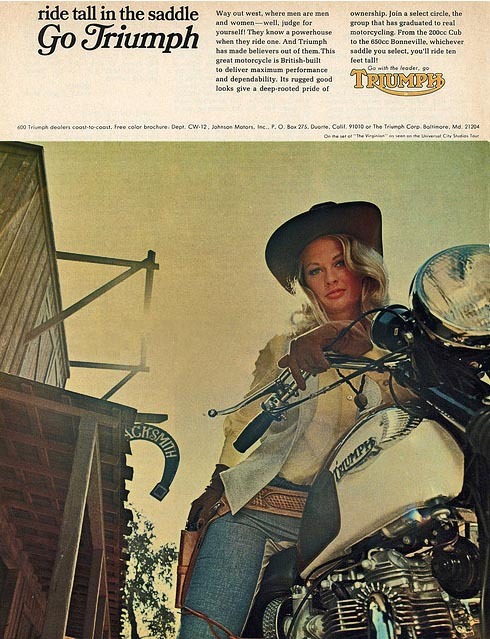 Cover Shot: only the chopper magazines get women on the cover nowadays. 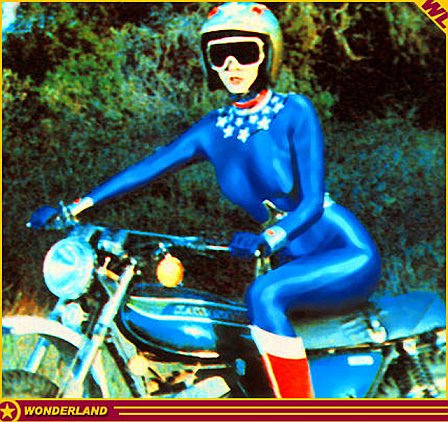 Though this classic pose balances well with the classic Speed Twin. 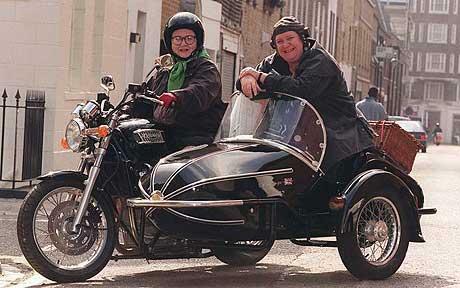 Back in the nineties there was a BBC programme where two gastronomes travelled around the UK on a Triumph Watsonian sidecar outfit: “Two Fat Ladies”. 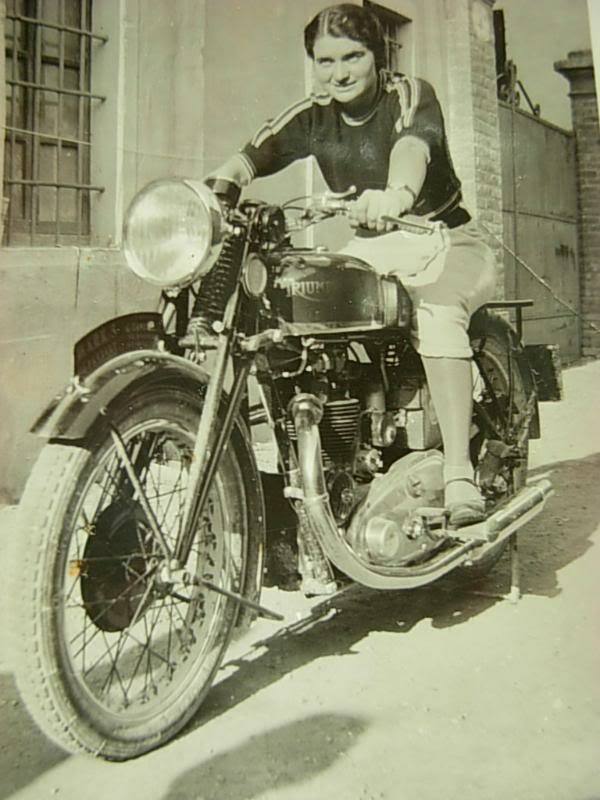 Here is a shot of Jon Pertwee, for it is he, aboard what looks like a late 60’s Triumph (or BSA). He was the 3rd Doctor after Patrick Troughton and before the legend Tom Baker. He was also seen in straw packed tweeds as Worzel Gummidge as well as the lip smacking professor in Carry on Screaming among other things. 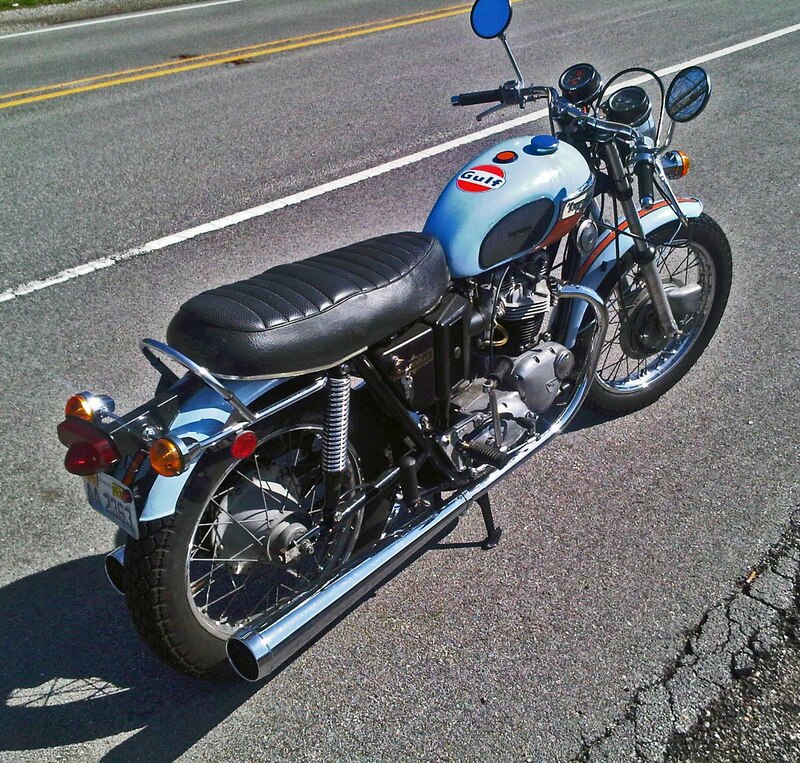 A clear skied Sunday afternoon beckoned me ou on the Triumph. 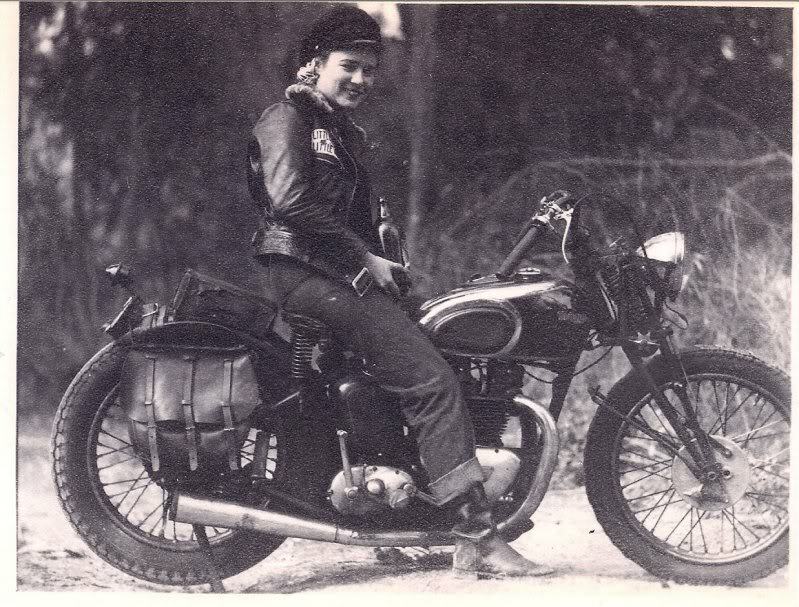 I kicked her over and roared up Sheridan Road along the Northshore suburbs of Chicago. 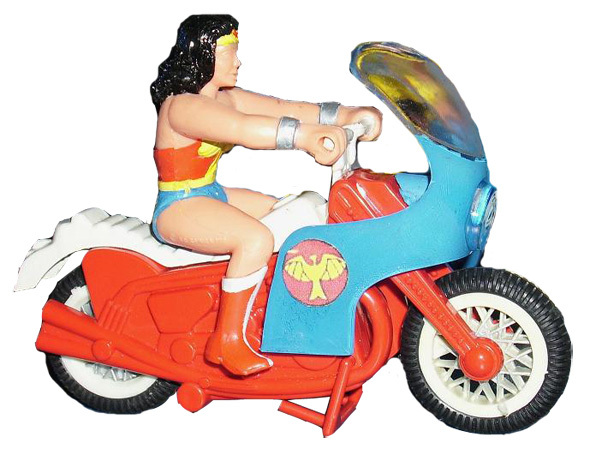 Still a few things to iron out with the new controls; but overall the bike ran well and the engine purred. …and Hilts, the Cooler King. 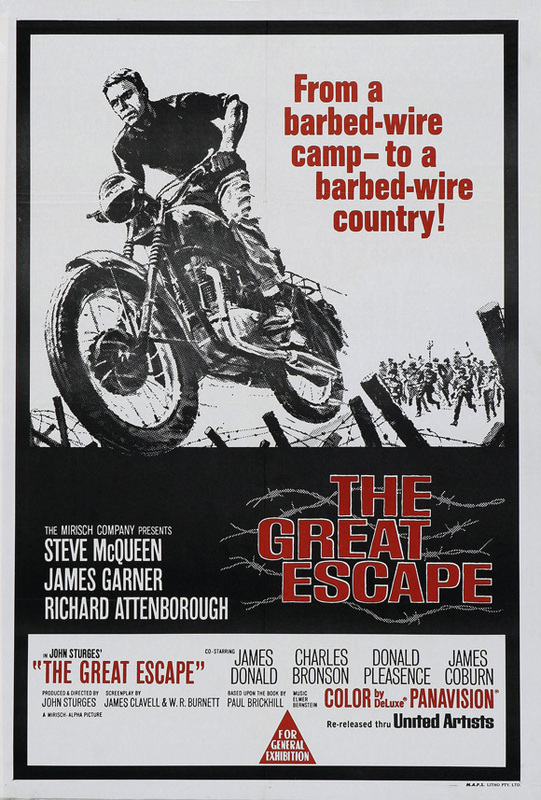 Taking on the Germans in his famous motorcycle escape in my favourite film. 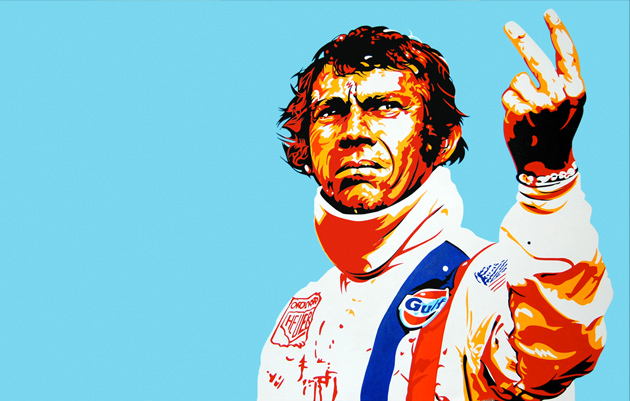 An ensemble cast topped by the great Steve McQueen. 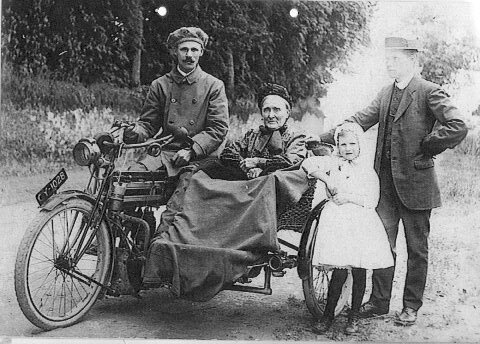 Family outings aboard two wheeled transport; let’s take Granny along too! Idyllic Edwardian times for early Coventry built machines. Mother and daughter can come along too. Sidesaddle and cross bar comfort! Flat cap and goggles complete period look; Harris tweed the early bikers gard. Classic stuff! 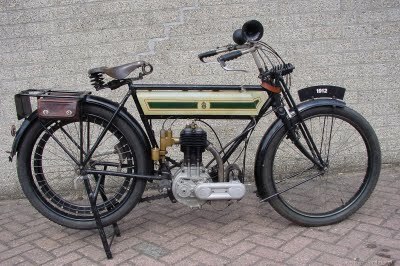 These early motorcycles were basically bicycles with engines; even a well sprung Brooks leather seat adorns the frame. 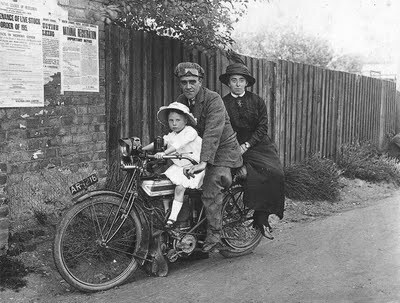 Think of the freedom these offered to early road users. 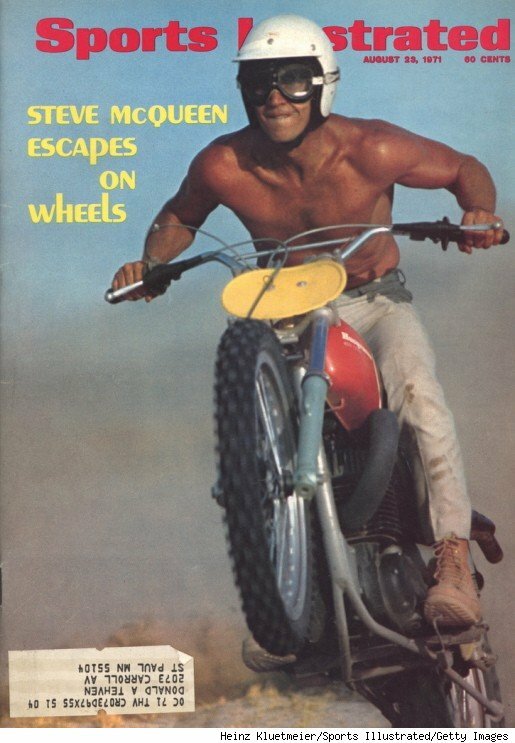 Every few years another of the items from the collection of Steve McQueen becomes available. Recently his wax cotton Belstaff jacket from the ISDT was sold for several tens of thousands. This year a motocross is up for sale. 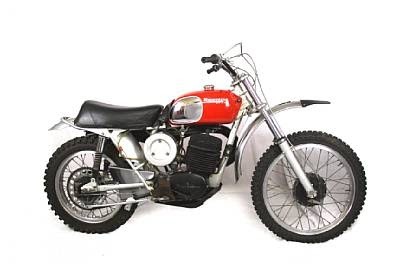 A 400cc Husqvarna that rode in the Elsinore, as seen on the great documentary On Any Sunday, as well as adorning the cover of Sports Illustrated. The bids will commence and a hammer fall on no doubt a hefty winning bid on May 14th in Carmel CA, Bonhams will carry out the auction. Steve with aforementioned bike taking it through its paces across some SoCal sands. 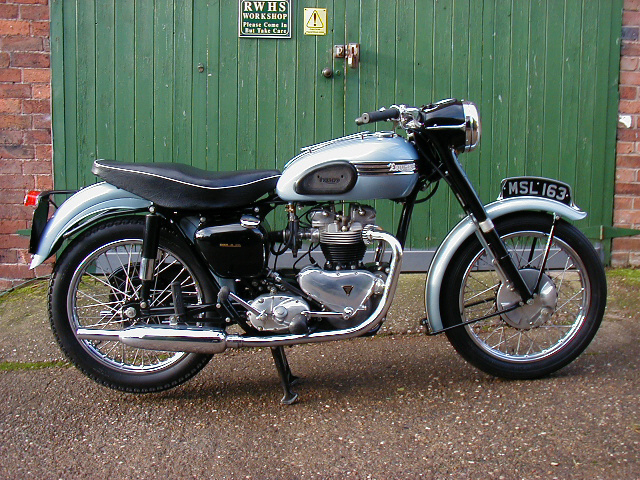 The production TT introduced in 1967 was no reprise of the worthy but often dull Clubman’s races. Rider’s were top names and engines were tuned to last for the three laps it would take to boost sales and prestige for the coming season. 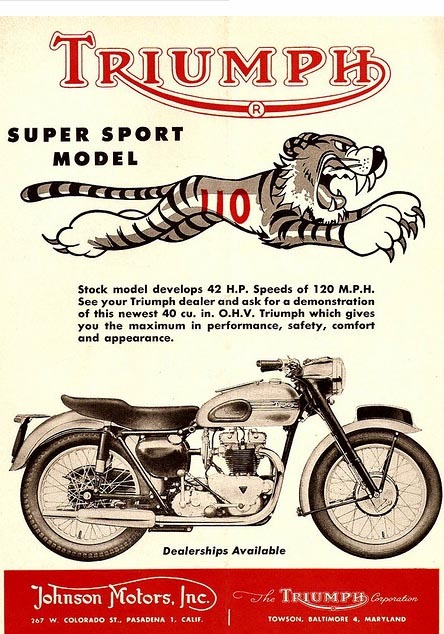 British Manufacturers might have lost the battle for the smaller capacity classes, but big twins like the Commando and the Bonneville were still competitive on the track and in the showroom. Uphill ignored the pressure and still likes to recall how he eased off once he was sure of a win. “The 100mph lap didn’t mean much to me at the time”, he says. 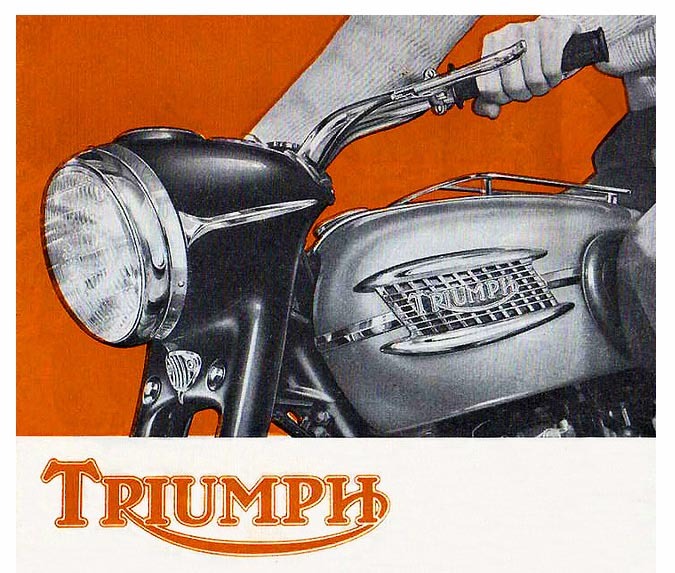 Far more important was the £50 prize, £70 in trade bonuses and the £300 Triumph Bonneville MAC232E-his fee from Meriden. 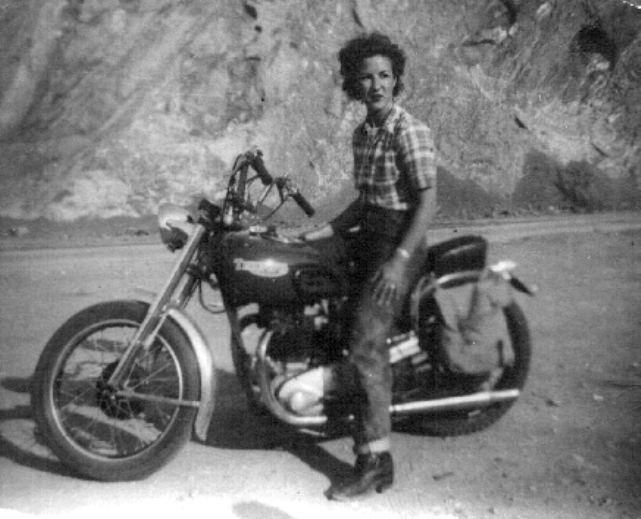 Hunched well forward on the howling twin,pudding basin hemet bobbing above the steering head, Uphill flew through the speed trap at the highlander pub at just under 135mph. 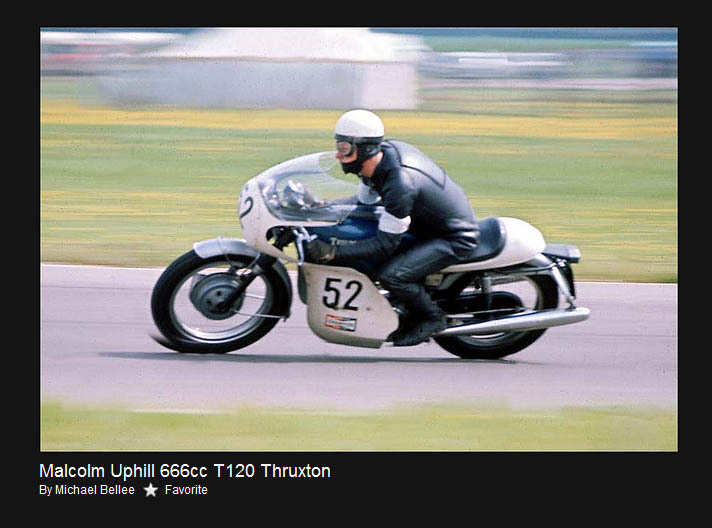 His standing start at 100.09mph looked effortless until spectators realised the scraping sound was Malcolm cornering on the Dunlop K81’s until his fairing touched the road. A faster second lap and a ton plus race average looked certain until this cool professional throttled back to finish with 99.99mph. 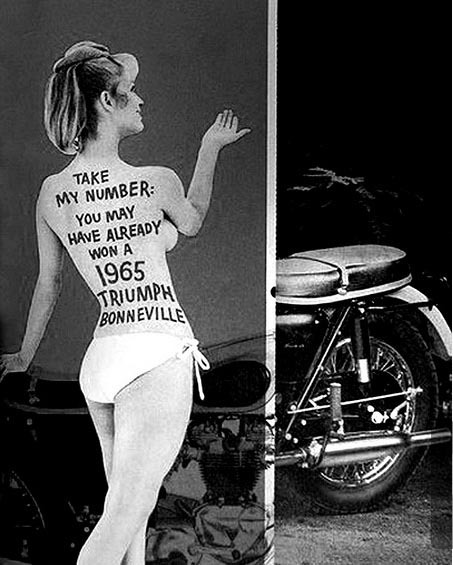 It was the Bonnevilles finest hour,and a feat immortalised by Dunlop on the sidewall of every K81 the ‘TT100’. 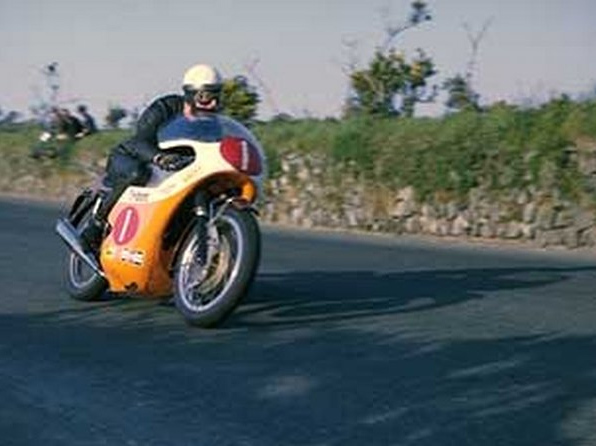 As well as the Thruxton 500 in 1969 he also dominated the NW200 road race in Northern Ireland. 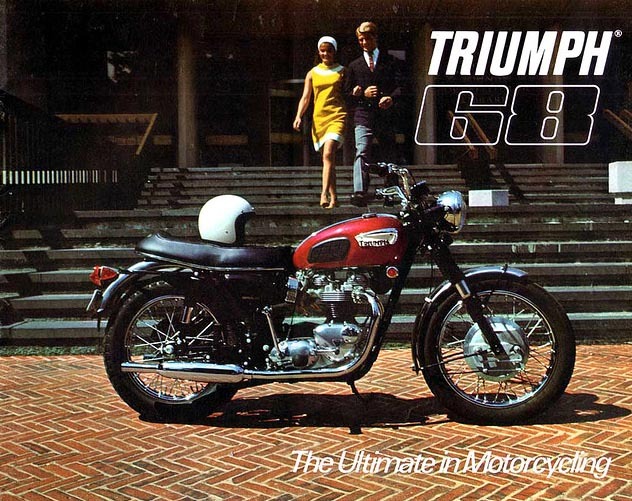 Fantastic shot of him at speed, classic lines of the Triumph blurs the scenery.